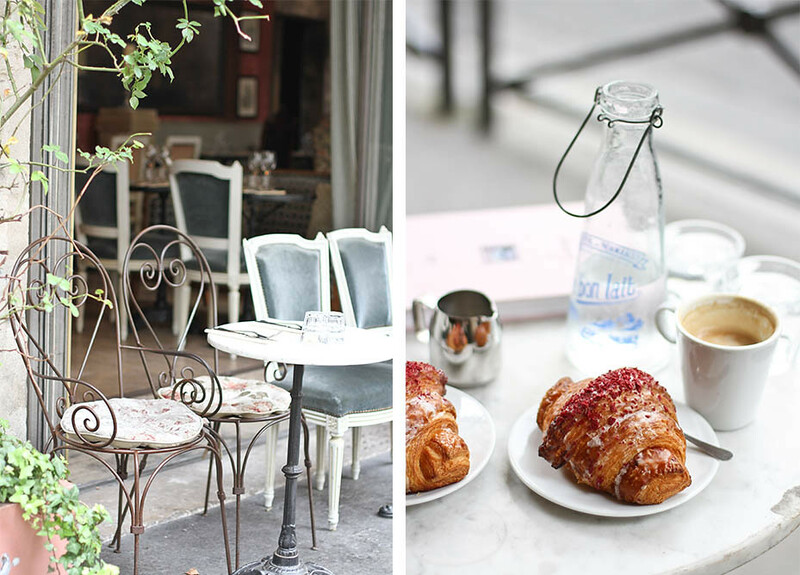 The other morning one of my loveliest friends and I went for a little breakfast date together, we were in the mood for something sweet so we stopped by Pierre Hermé to pick up a couple of Ispahan croissants. 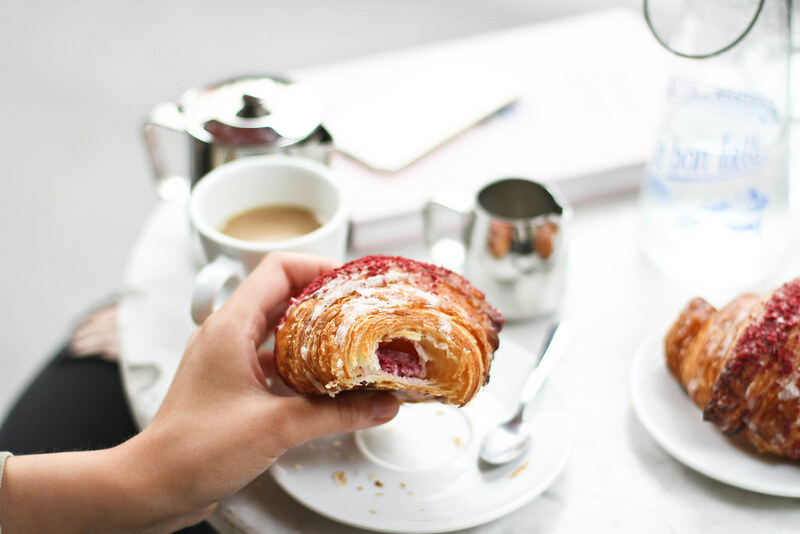 I’ve talked about these croissants before but they are worth mentioning again and again. The perfect flaky pastry is filled with a rose, raspberry and litchi paste and sprinkled with candied rose petals. It might sound a little bizarre and a little too extravagant but once you’ve tired it you won’t be able to look at the standard croissant in the same way ever again, in fact all other viennoiseries will pale in comparison. 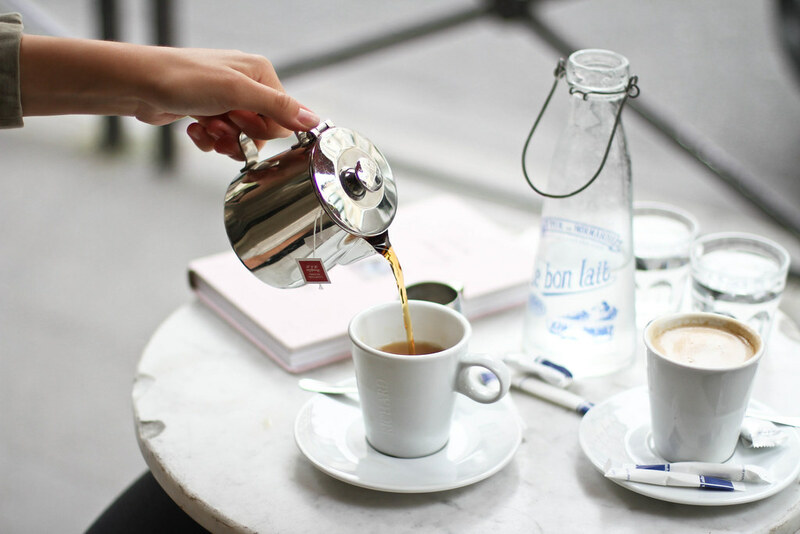 Whilst I wouldn’t incorporate these into my daily breakfast routine, from time to time there is nothing better than being a bit naughty and indulging in a pastry laden breakfast… is living in Paris excuse enough for this? We headed around the corner to my favourite cocktail bar in Paris, le Schmuck, which is also open for coffee in the daytime. 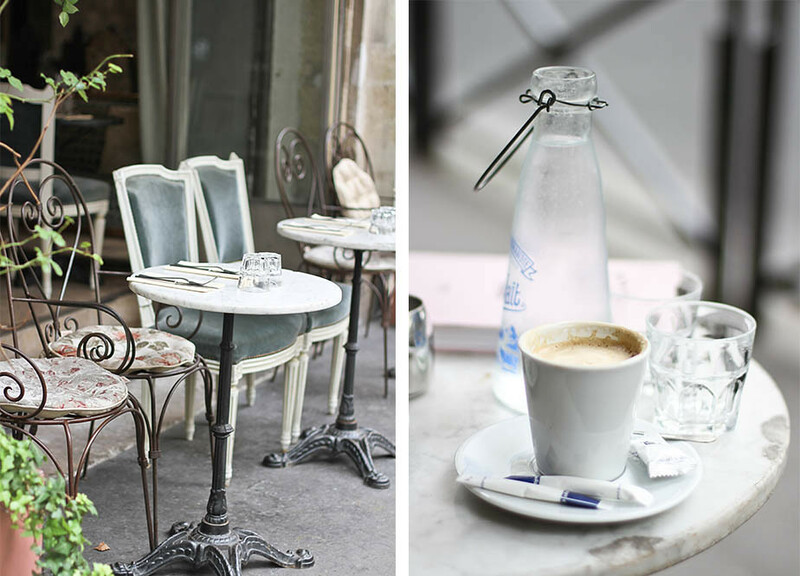 Luckily for us the sun was shining so we made ourselves comfortable on their Italianesque terrace which looks out onto a quiet road tucked behind St Sulpice. 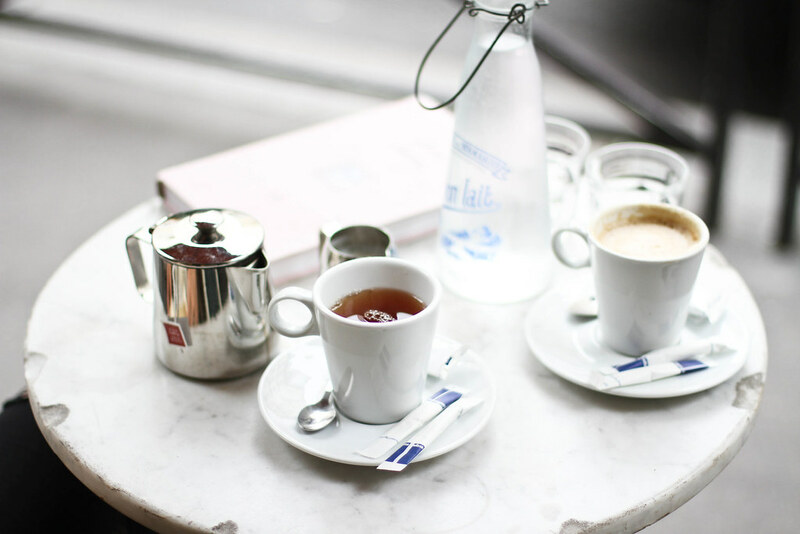 I can’t imagine a better morning than sipping a cafe creme and savouring every mouthful of croissant heaven in wonderful company. I didn’t know Schmuck doubles as a café in the afternoon! How heavenly to combine that fabulous setting with Ispahan treats. Yes most definitely next time! You wont regret it! It looks like a lovely place to have have a quiet breakfast. 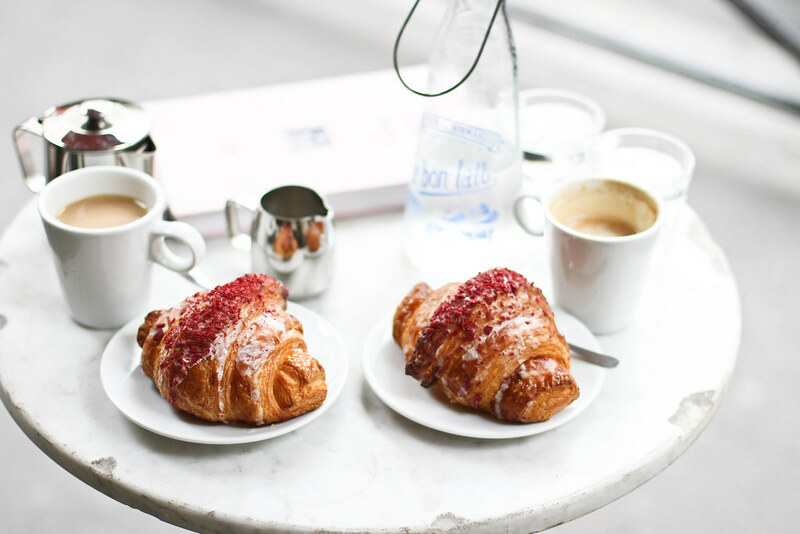 And those croissants look so yummy! Everything looks so yummy for my tummy! That place looks so quiet and relaxing! Nothing like have a breakfast whilst people-watching walking.